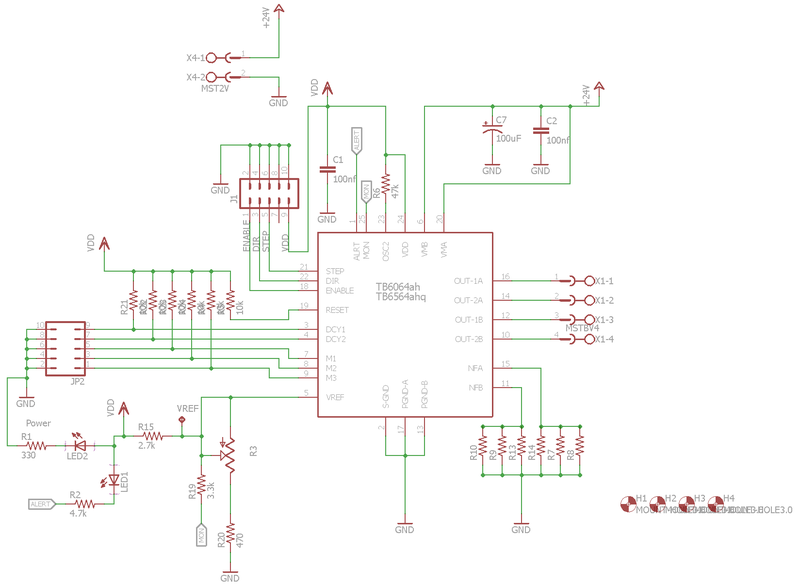 The THB6064AH is a PWM chopper-type sinusoidal micro-step bipolar stepping motor driver IC. 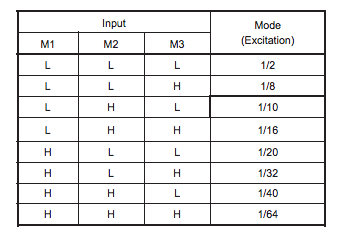 It supports 8 kind of excitation modes and forward/reverse mode and is capable of low-vibration, high-performance drive of 2-phase bipolar type stepping motors using only a clock signal. 100% current value is determined by Vref inputted from external part and the external resistance for detecting output current. 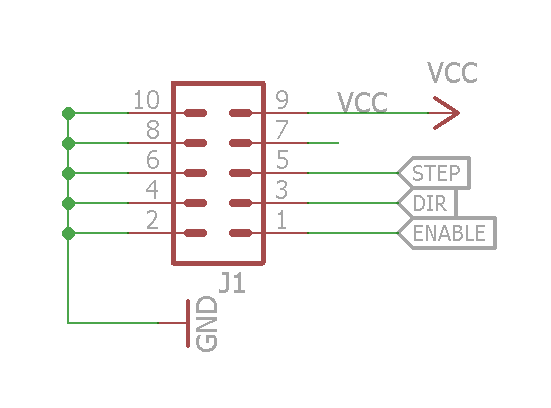 Vref is doubled 1/3 inside IC, and compared with VRS. Io(100%) = Vref x 1/3 x 1/Rs The average current is lower than the calculated value because this IC has the method of peak current detection. 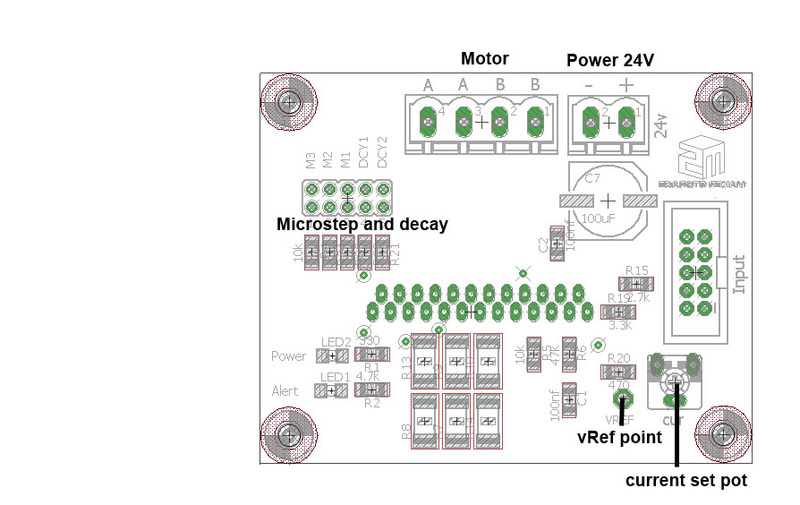 To set the max current per phase place voltage meter from gnd to VREF. Then use the formula above to get your desired current by adjusting the Cur pot. We mostly use Rs=0.2 ohm.